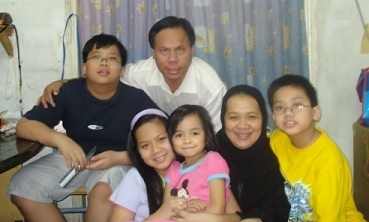 Since year 2000, Nur’s main advocacy is to teach arabic language to non-arabic speakers specially Filipinos. Such advocacy is the first and the only service program for OFWs in Riyadh or maybe in all Saudi Arabia. In 1990, Nur organized the first Holy Qur-an Reading Competition for OFWs at the National Guard camp. He is also one of the founding members of MOWA (Maguindanao Overseas Workers Association). 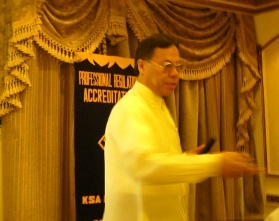 Nur is also the main training facilitator for PICE ( Philippine Institute of Civil Engineers). He conducts training in various fields for his fellow civil engineers. Nur finished his BS Civil Engineering course at National University in 1982. He also took up BS Sanitary Engineering Course at Technological Institute of the Philippines (TIP) in 1982 and graduated in 1983. In 1995, He took up a three year course on Arabic Language for Non-arabic Speakers. He graduated in 1998 and started teaching Arabic Lessons for free. Nur is currently working in Ministry of Water as a Supervision Staff Manager. His previously worked for Saudi Arabian Construction Contractors LTD. KSA (1983-1989) and Riyadh Sewerage Operation and Maintenance Project (RSOMP).